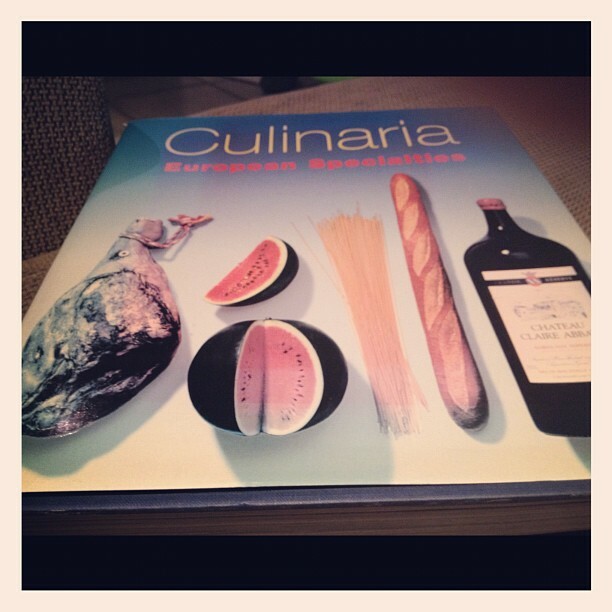 One of my most treasured cookbooks is called ‘Culinaria European Specialities’ and it is a great big thick book full of details about European cuisine, traditions and recipes. I bought it in the UK about 10 years ago, and I often spend time looking through it, and making the odd dish. The Belgium section has lots of perfect winter comfort food. 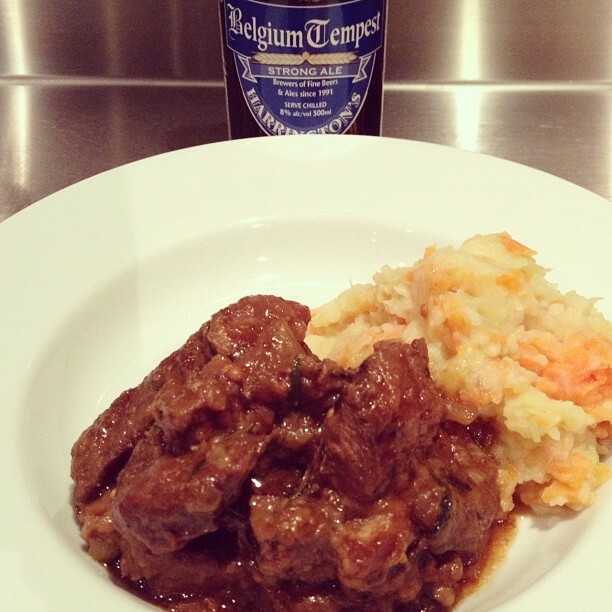 I made a delicious beef casserole that slow braises the meat in half a litre of ale. Yum. It’s served with Stoemp (pronounced like stump), which is pretty much mashed potatoes with some veges chucked in. I used carrots and leeks. 1. Cut the meat into large cubes, about 50g and fry in the butter until brown on all sides. Season with salt and pepper and remove. 2. Peel the onions and cut them into rings and braise them slightly in the meat juices. Add the sugar and the beer and bring to the boil. 3. Crumble the bread and add to the gravy together with the bouquet garni, vinegar, mustard and the meat. Cover and cook at a low temperature for 2.5 hours, stirring occasionally. Peel 4 potatoes, 2 carrots and finely slice one leek. Boil in water until soft, drain and mash with butter, milk, salt and pepper.